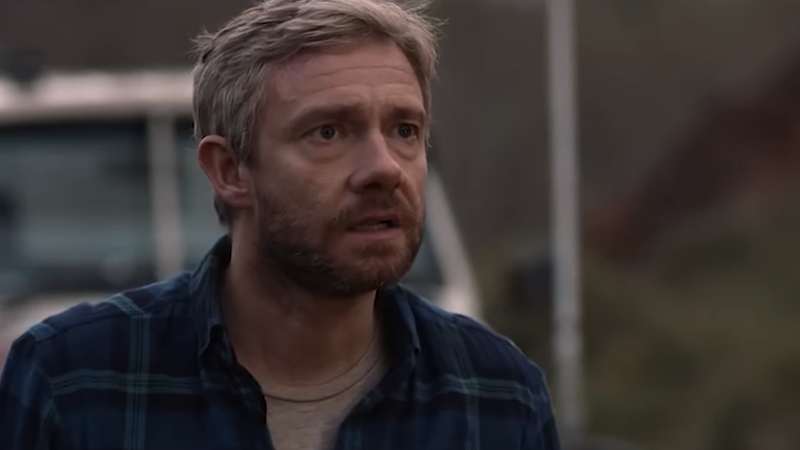 Martin Freeman’s got 48 hours till zombification in Cargo. Nearly five years ago, we had our hearts broken by Ben Howling and Yolanda Ramke’s touching take on the zombie genre in the short film Cargo. Now, it’s becoming a full-length film with Martin Freeman in the title role, and is set to get us all teary-eyed once more. The movie adaptation is once again directed by Howling and Ramke, and is set in a world where the walking dead roam among the living—but there’s a ticking timeclock attached to the zombie virus. If you get bitten, you have 48 hours before you join the shuffling hordes. Which means when Freeman’s character finds out that he’s been infected, he’s got two days to try and save his young daughter before he expires. The original short film packed in some pretty heavy emotional stuff in just a few minutes, so it’ll be interesting to see how that plays out in an extended format. But otherwise, especially with the original directors at the helm, it’s cool to see such a great short film get beefed up like this. Cargo is set to hit international theatres May 17, 2018, and stream in the US on Netflix from May 18.